I’ve never really liked pomegranate juice because I always thought it was too astringent. Boy was I wrong! I had just never tasted fresh pomegranate juice before. Just like with orange juice, there is a huge difference between the real thing (i.e. freshly squeezed) and store-bought stuff. A post on REMCooks.com inspired me to try making my own pomegranate juice, and I absolutely loved it. Thanks, Richard! 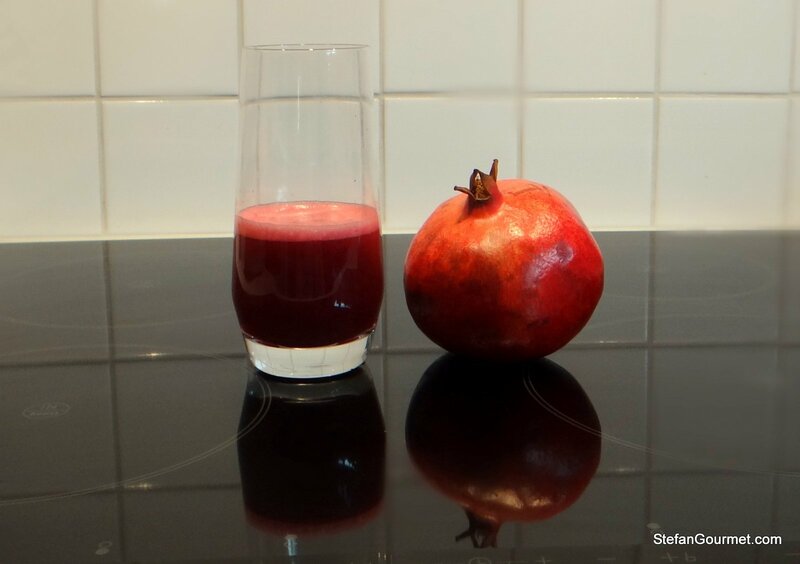 Fresh pomegranate juice is as different from store-bought pomegranate juice as freshly squeezed orange juice is different from orange juice from concentrate. Fresh pomegranate juice is sweeter, less astringent, and has a wonderful flavor. It also is very healthy. There is just one drawback — it is a bit of work to make it. It is also a bit messy to get the arils out, so I advise you to wear an apron. It is also not very cheap, as you get about half a glass of juice from a single pomegranate (and they are about a euro each around here). Here’s how to make the juice yourself. 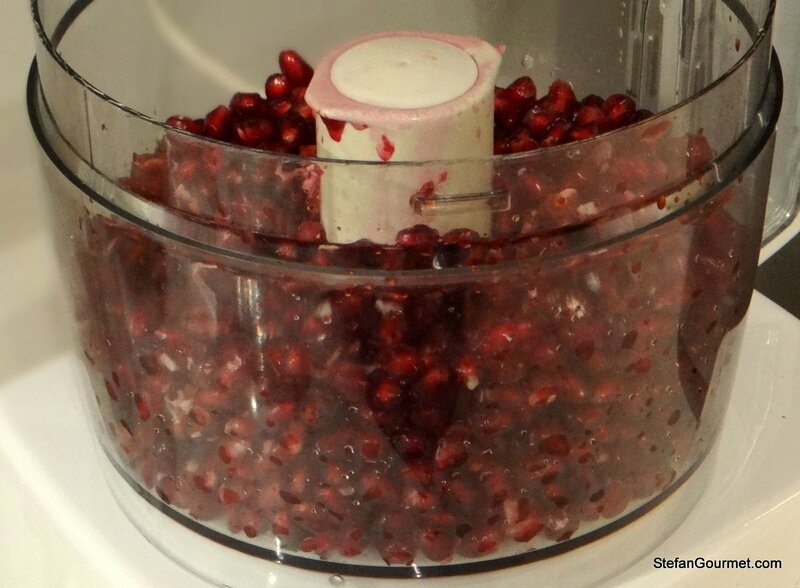 Note added on December 6, 2013: there is a better way to get the arils out of a pomegranate! For a nice big glass of pomegranate juice, take two pomegranates. Nothing else. 100% natural. …and press down with a spoon to get as much juice out as possible. That’s all — enjoy the juice! If you own a juicer or better yet a slow juicer, that would be a better way to make the juice. 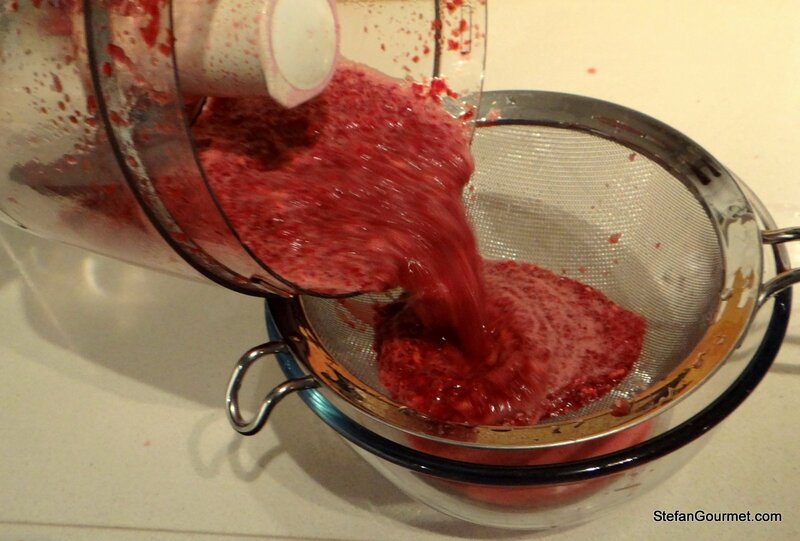 Especially a slow juicer, as that will oxidize the juice less. 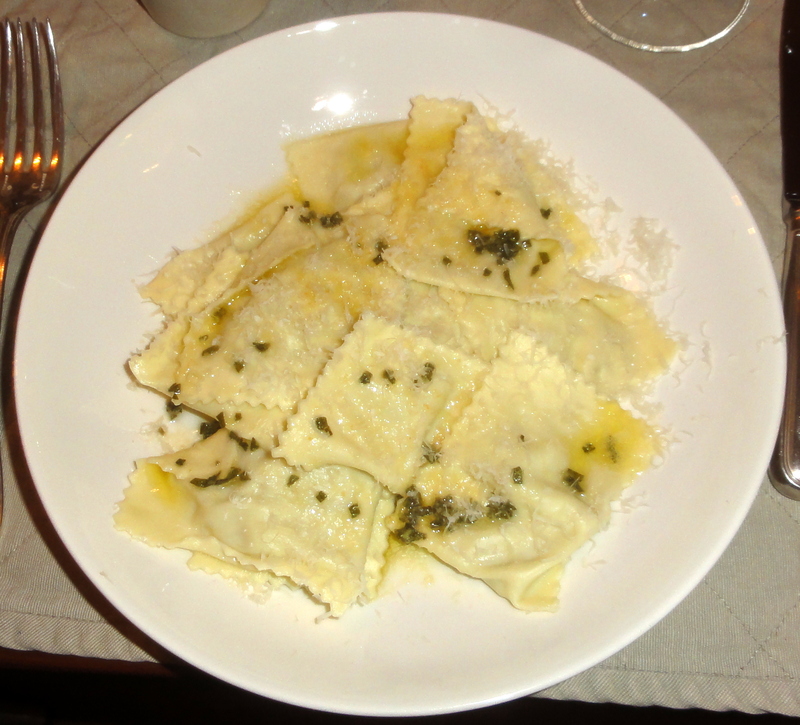 Two years ago, I posted about home made fresh ravioli stuffed with witlof/chicory/belgian endive and gorgonzola — a wonderful combination. Thanks Vinny. I learn stuff from other blogs all the time. I’ll check out what you wrote. I find blogs a wonderful source of inspiration, too! What I love about yours are the nice presentations and your “from scratch” approach, not to mention the expertise you offer. I just felt a bit presumptuous referring you to Vinny’s kid-friendly recipes. 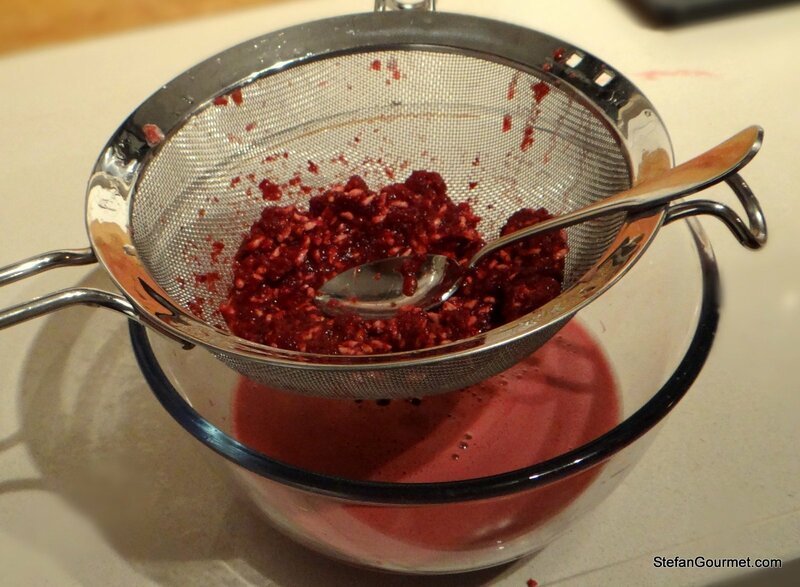 Anyway, I whizzed the aryls in my food processor today and for the first time ever made some fresh pomegranate juice. I loved it… and so did my little 1.5 year old granddaughter! 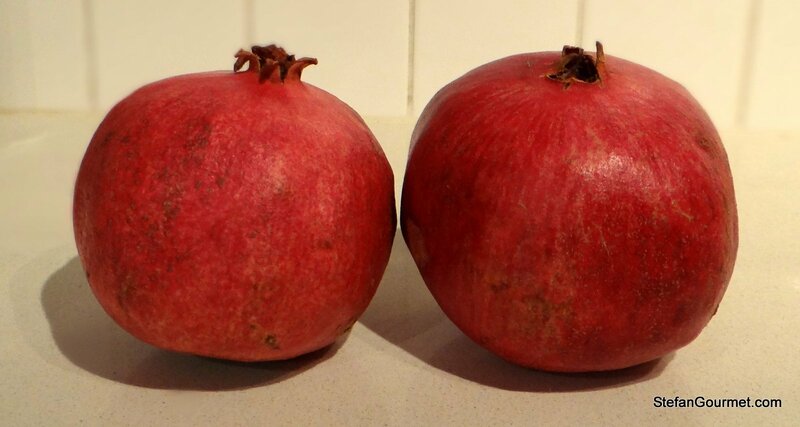 I love pomegranate – the taste is great, plus they are so salubrious. 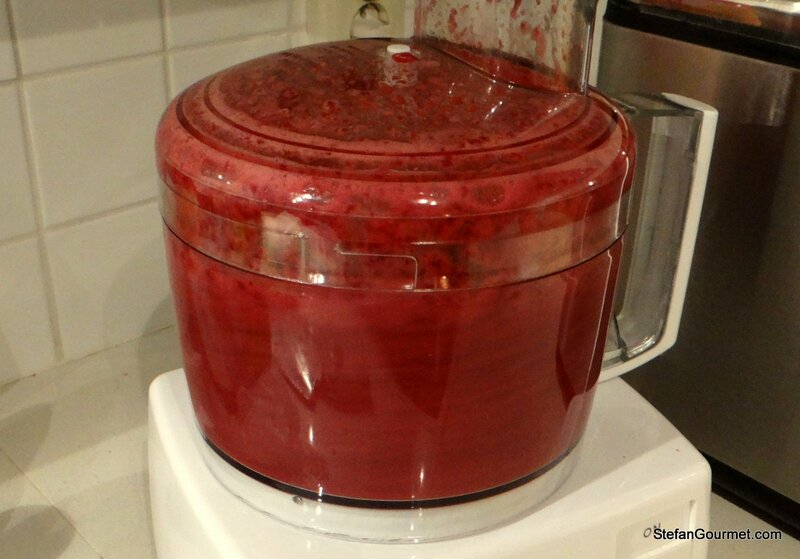 What a great idea to juice it using a food processor and sive! This would be very nice in a cocktail… though that might detract from the health benefits (HA). The color really pops – it is vibrant. 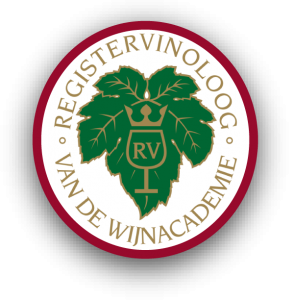 I still have an affinity for the first red wine that I really liked (barolo) and the first white that I really liked (pouilly-fumé). Interesting how a few sips can have such a big effect. My dad lived in Italy for 15 months about 8-9 years before I was born. The superiority of Italian food has always been a given for me 🙂 It helps that I like it a lot too, though. Just like Japanese food, but that is a lot harder to master as I don’t speak the language nor have visited it often. Italy is only a 2 hour flight or a 10-12 hour drive from here. Thanks — I’ll try that right away! This certainly feeling like Christmas. Warmth and lovely! Pomegranate juice is supposed to be one of the best cures for an upset tummy. It makes for great cocktails too as Shanna suggests. Pomegranate Juice is the fastest cure for anaemia. 🙂 If you have low haemoglobin, drink 1/2 glass of fresh Pomegranate Juice every morning for 15 days and see the difference! To avoid the juice everywhere, just score the skins and pull apart. If you cut through them you burst the seeds. Tearing them apart instead keeps it very clean.